I love all animals, even those about other people have disgusting feeling. 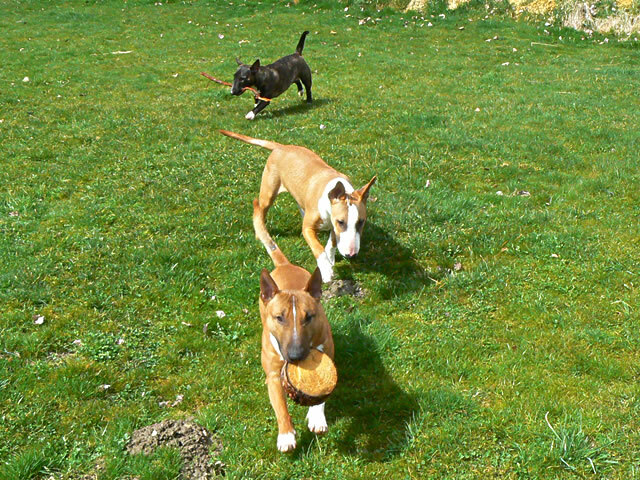 Very special place in my heart belongs to the bullterriers, no matter if they are big or miniature. 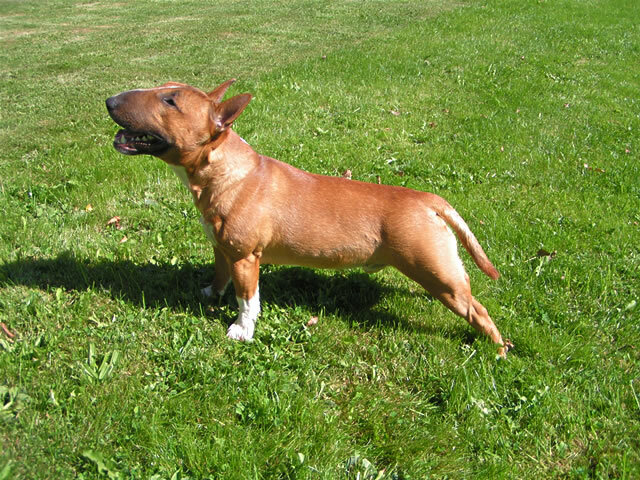 The bullterriers are for me the most beautiful and inteligent dogs with big sense for fun and play. Their personality (dognality :)) is also full of wildness and tenderness. It is very sportive dog that also loves soft bed, especially the one of his master. 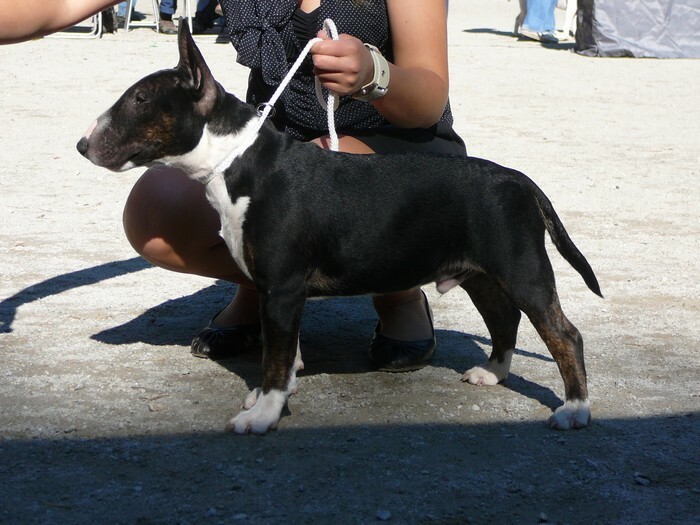 Dog breeding is really my pleasure that also pleases others, not a business and source of my income. I try hard not only to have dogs of show quality, but at first to have healthy dogs. 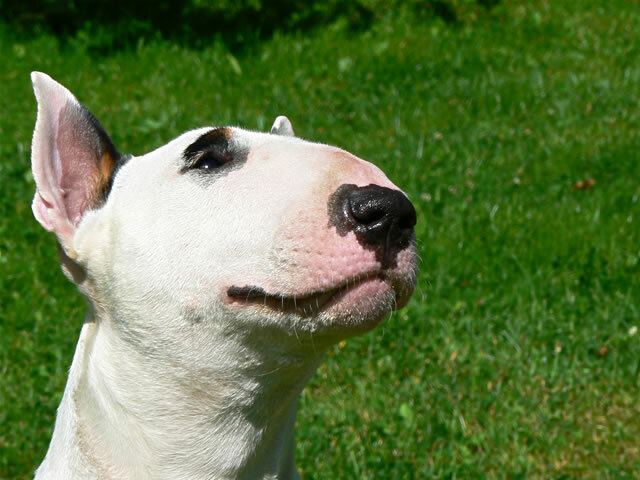 Every my adult dog has accessible health examinations, that are yearly repeated. We live in country house in the midst of the fields, not far from the Germany border. Dogs live together with us in the house. No dogs pens. Female in late pregnancy is moved to the bedroom beside my bed. There she stays till the pups are three weeks old. Then they move back to the "living kitchen" to the others, to know there are also other dogs in the world and to get appropriate socialisation. Pups come to the new owner vaccinated, five times dewormed, chipped and with pet passport in age not early as eight weeks.